We all love using aloe vera gels. It is a multipurpose product and helps us to soothe our skin issues right from acne to sun burns. I have tried a bunch of aloe vera gels and only very few impress me. 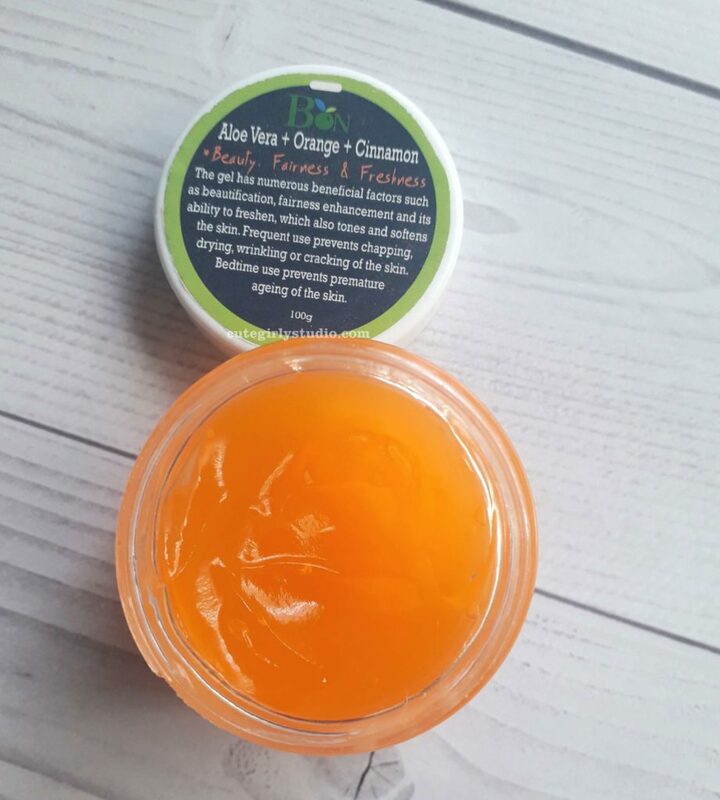 I picked up Bon organics orange and cinnamon aloe gel few months back and here are my views on it. I was looking for a gentle SLS free shampoo for my dry wavy hair and I came across Bon organics aloe vera shampoo. While checking their website, I spotted a wide range of aloe vera gels with a great review. Since I love anything citrusy, I ordered orange and cinnamon aloe vera gel along with the shampoo. I have reviewed the aloe shampoo already on my blog. 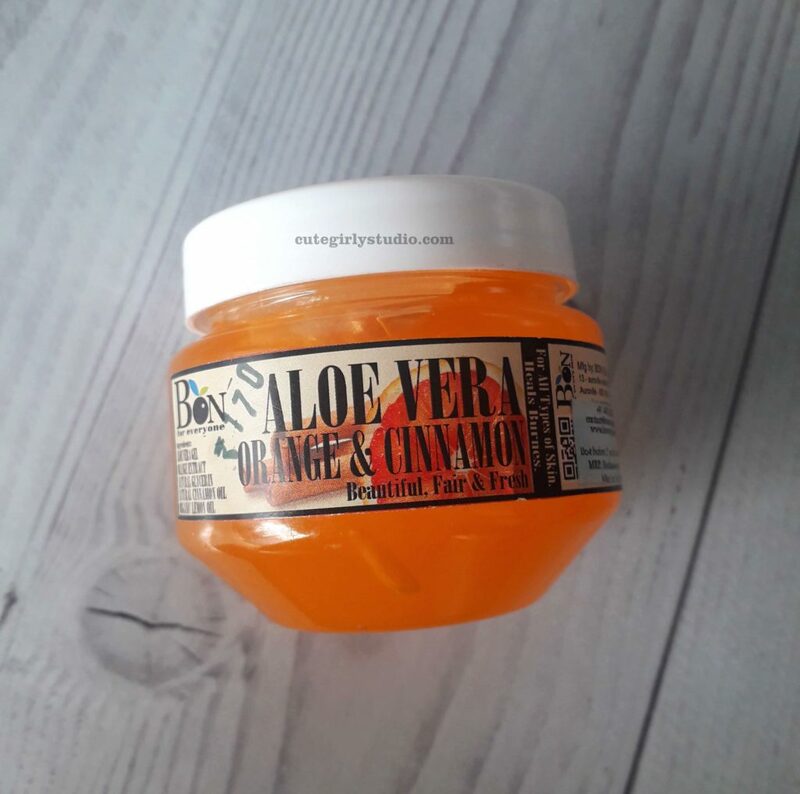 Now coming back to the aloe vera gel, I was really excited to try out the gel since I was looking for a hydrating moisturizer. As soon as I opened the lid, I was welcomed with a strong citrus smell. It’s extremely strong I’m not even kidding. It smells exactly like fanta. 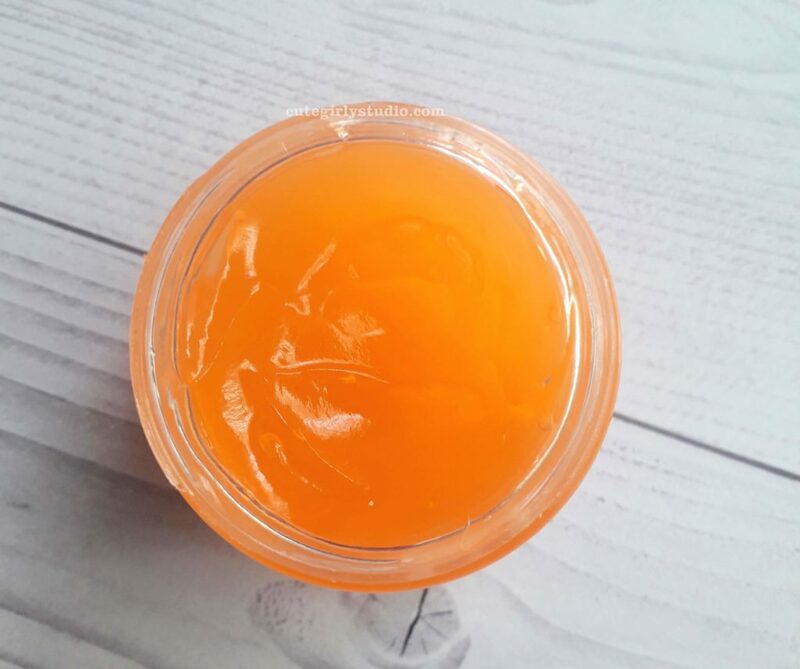 The texture of Bon organics orange and cinnamon aloe vera gel is somewhere between thick gel and pudding. I take a pea size gel and apply it all over my face and neck. It feels sticky initially and subsides after few minutes. The strong smell fades away eventually. One thing I noticed is, it caused tingling sensation every time I used. I didn’t like the after feel also. The gel formed a thin layer on my skin. I usually apply aloe vera gel in the morning. While washing my face in evening, I can feel the slimy gel on my hand and orangy smell. I don’t think that the gel gets absorbed into my skin. It just formed a thin layer. I didn’t notice any changes in my skin either. Overall I didn’t find a single reason to continue using the gel. No. I find this to be an average aloe vera gel with catchy colour and citrusy aroma.